What are school playlists and how do they work? 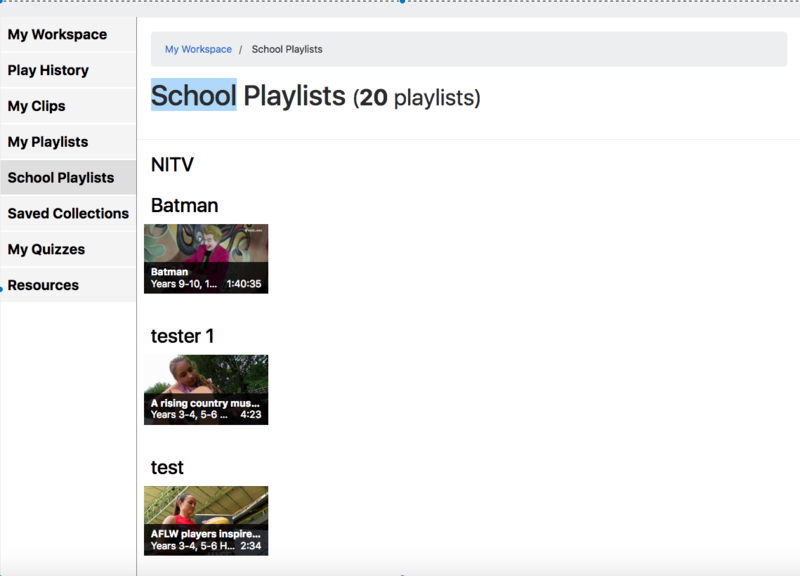 School playlists are where all playlists that have been shared to you are viewable. Teachers and Admins are only able to add to this section. 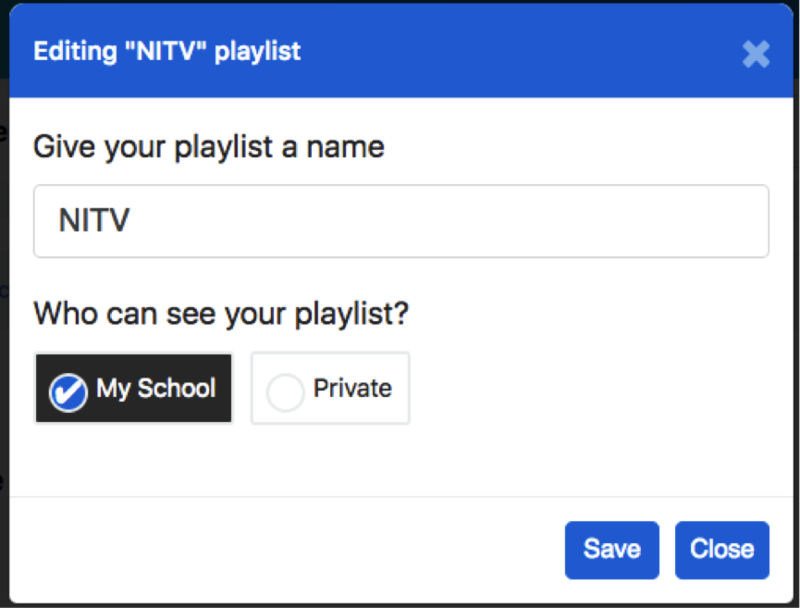 You can only add a school playlist via your My Playlists edit screen, which will then appear in this section for the other Teachers. To delete your playlist from School Playlists, you will have to delete it from My Playlists or change the permissions to "Private".